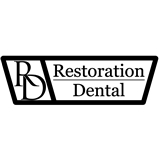 Restoration Dental (Atlanta) - Book Appointment Online! We accept all insurances that allow you to go out-of-network, and are in network with the following PPO's; Aetna,Cigna Radius, Delta Dental, and Guardian. We are non-judgmental and really love our profession. Emergencies are often seen same day. I absolutely love this office! Everyone is friendly and Dr. McNay does excellent work.